Arrowroot plant, Maranta arundinacea, is the source of commercial arrowroot food starch (tapioca). Traditional use of the roots as a remedy for diarrhoea in Central and South America. A poultice of the crushed leaves used as treatment for snake bite and infected wounds. 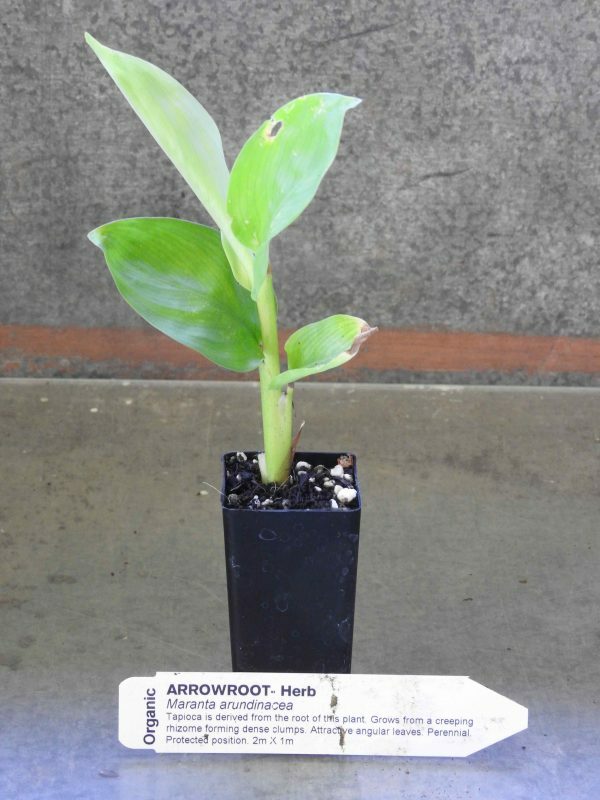 Arrowroot plant is native of West Indies and Central America and prefers rich, moist soils in protected, warm, sunny position. Drought and frost tender. A perennial plant, growing to 2m x 1m. Be the first to review “Arrowroot, True plant” Click here to cancel reply.